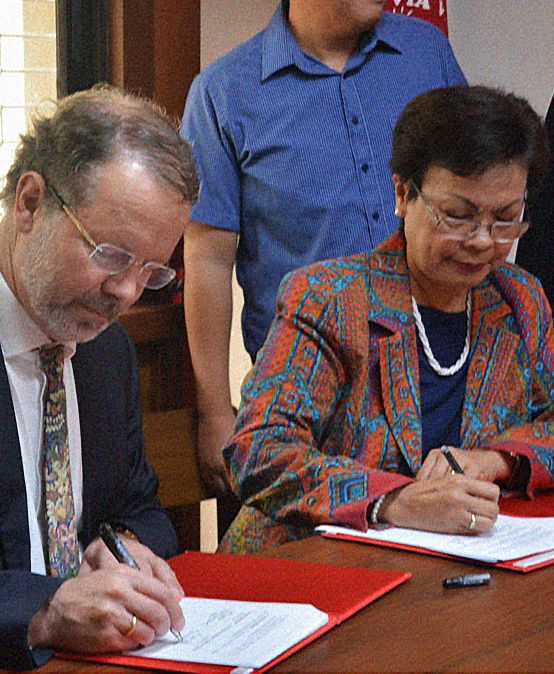 Silliman University signed a memorandum of understanding (MOU) with its partner university in Germany, the Protestant University Wuppertal/Bethel on Jan.23 to develop academic and educational exchange and promote mutual understanding between the universities. 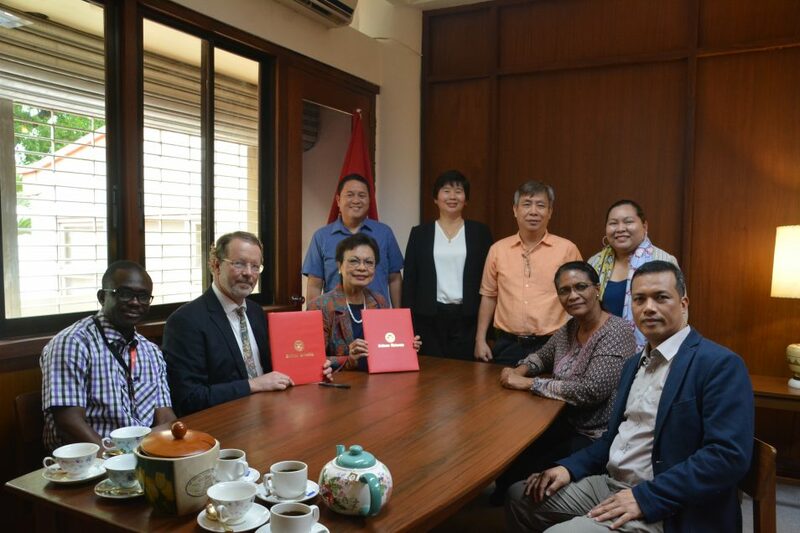 Academic leaders from both universities witnessed the MOU signing at the office of Dr. Betty Cernol-McCann, SU president. 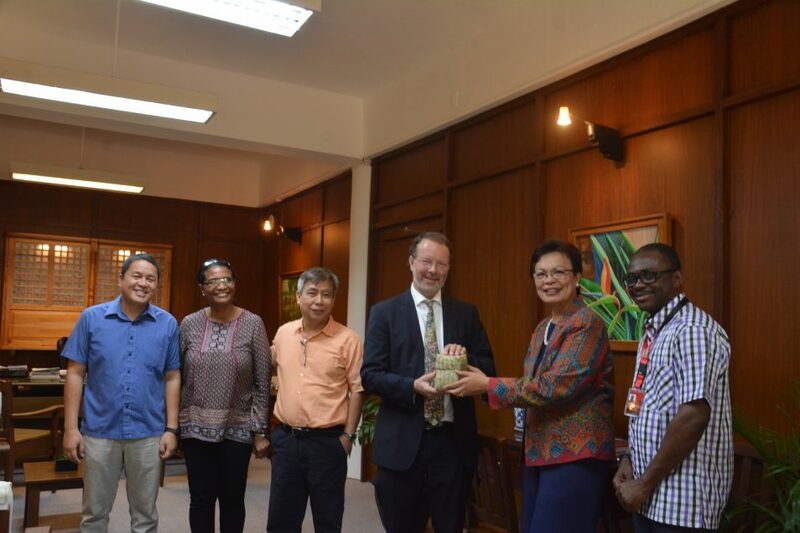 Seated, L-R: Mr. Godwin Gladson Delase Ampony, United Evangelical Mission coordinator; Prof. Dr. Martin Büscher, rector of the Protestant University Wuppertal/Bethel Institute of Diaconic Management (IDM); Dr. Betty Cernol-McCann, SU president; Rev. 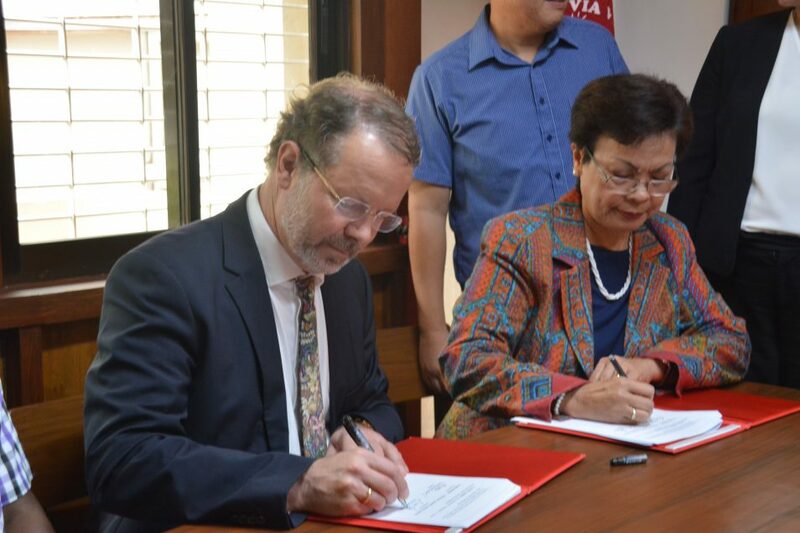 Dr. Jeaneth Faller, SU Divinity School dean; and Dr. Dennis T. Solon, IDM guest lecturer. Back row, L-R: Dr. Earl Jude Cleope, SU vice president for academic affairs; Prof. Jane Annette Belarmino, SU vice president for development; Dr. Jenny Chiu, SU vice president for finance and administration, and Dr. Jenny Lind Elmaco, Office of Strategic Partnerships director.